← Day 55: Free COC Concert. You may recall in one of my previous posts when I finally caved and joined LinkedIn, that I also became a member of MeetUp? Well, this site is a veritable vortex, where you can literally lose yourself uncovering random and bizarre interest groups, with people getting together with like-minded spirits to celebrate their passions. Frankly, it’s a breeding ground for crazy. Naturally, I love it! I mean, sure, there are logical, humdrum groups in there that like to drink wine, travel, discuss books, or go for dinners in their neighbourhoods. But I challenge you to come up with a combination of wacky, if not flat out competing, interests, for which there is not already a faction formed (feel free to share your ideas as comments to this post, and maybe I’ll start the quirkiest one, because that would be a new thing… Bacon-loving vegetarians, or leather-wearing vegans are probably already taken; best not to poke those bears with a stick). I cannot even describe to you just how, um, unusual the very first MeetUp group is that I joined. I’ll be meeting them for the first time tomorrow evening, and I’m so excited, I can hardly stand it! The very next group I subscribed to was an obvious, and seemingly rational, choice, at least in comparison, whose mission is to discover new things happening in the city. I mean, how perfect is that?!! Would you believe, then, that my very first MeetUp event came from this second, and purportedly sane, group? And that was today, to gather in front of city hall at noon to blow bubbles in the name of love. Strangely, nobody else was singing U2. Weird. The most astonishing part was when I did a little research on it. Sweet Jayzus – it really exists! The International Bubbles of Love Campaign is an actual thing, and this was its seventh annual Bubbles of Love Day. It was even celebrated on four continents last year. 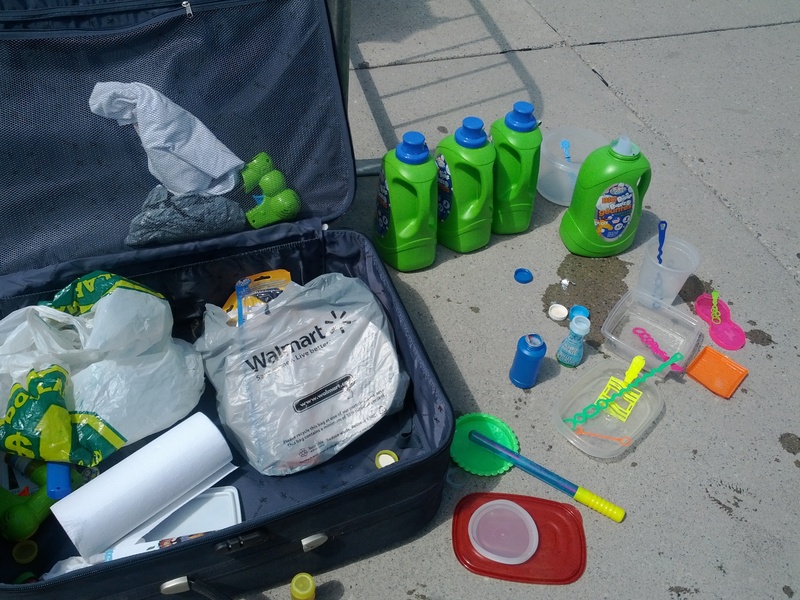 The initiative was inaugurated right here in Canada by a wonderful soul named Sarvy Emo. I met her today, and I have to say, she is definitely a person of interest – in a really good way! 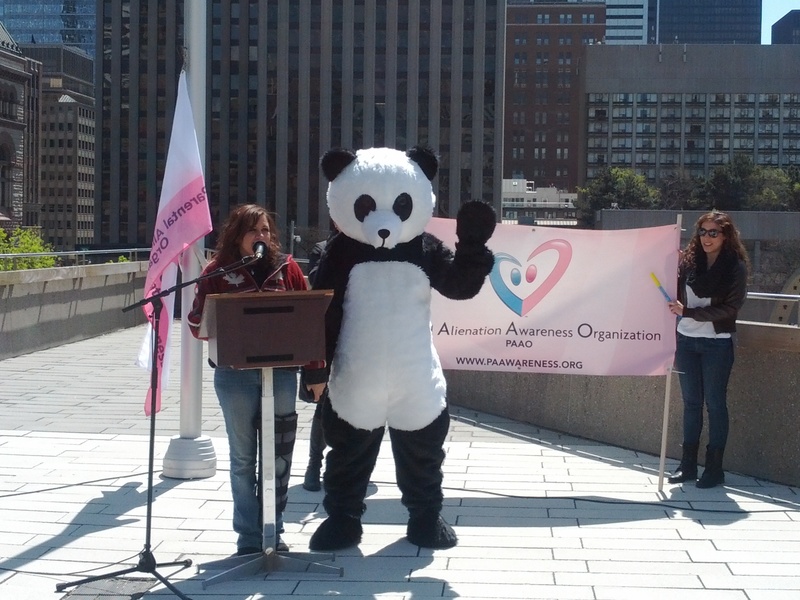 She even got her boyfriend to willingly dress up in a hot and sweaty panda suit, she’s that awesome. The fundamental purpose of the day is rooted in a genuinely caring idea: to promote the Parental Alienation Awareness Organisation, whose aim is to help prevent children from becoming emotionally scarred due to some kind of separation from either one or both parents, typically as a result of divorce. They want to educate parents on the longer-term consequences of their behaviour in front of their children, especially in terms of self-esteem. Kids need to feel like they belong and are accepted by their parents unconditionally, even when they are out of sight, or acting really dumb. They also need to believe that they came from good people, so that they believe they are good people, too. And on that note, I am sending you waves of love, even though I know all you secretly want to do is burst my beautiful bubbles. Well, get over it, and go hug a kid – preferably one you know and are related to, and in an appropriate manner. It’ll do you both some good. 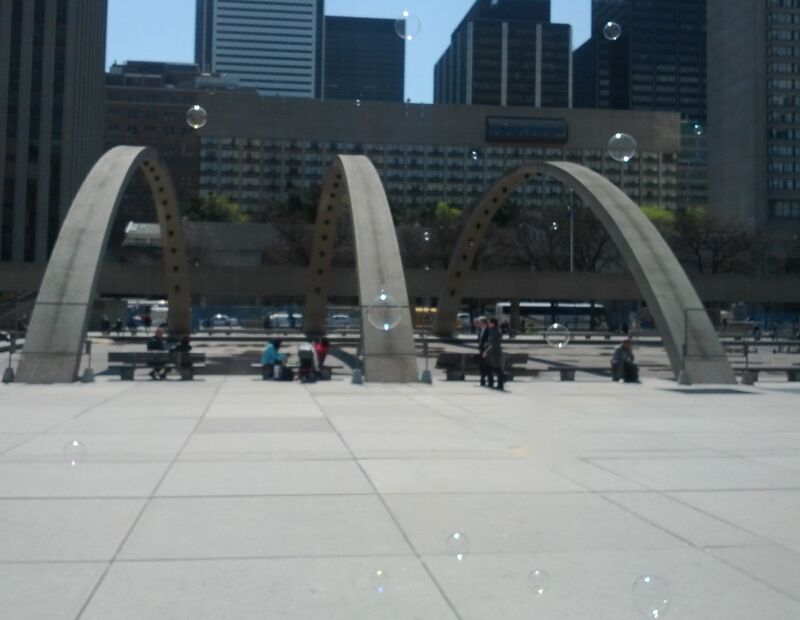 This entry was posted in Fun and Crazy and tagged April, Bubbles of Love Day, Crazy, Fun, MeetUp, Nathan Philips Square, Parental Alienation Awareness Campaign, Parental Alienation Awareness Day, The International Bubbles of Love Campaign, Toronto. Bookmark the permalink.